So I took the car to a road with a decent gradient (about 45 degrees). I just engaged the handbrake and released after giving a bit of throttle. The car went forward with ease. But if there is an obstruction touching the tyre, for example a plastic rumble strip or a hump (just before any toll naka) then the car won't cross it in the first attempt of crawl. Even with a bit of added acceleration it typically fails in the first attempt, then the engine revs a bit more and retries, again fails. Finally a little more push on the accelerator does the job. Consider this ... when I go to office there is a boom barrier gate at the main entrance; It is on an upward incline and there is a plastic rumble strip just before the barrier. I have to flash my RF ID card for the barrier to open and then a single car can pass. In the AT mode the car struggles to cross the rumble strip (either front wheels or rear wheels) and by the time I cross it, the impatient jerks behind me start honking. The manual mode comes in very handy at such times. Everyday I see women employees in their AT i10 or A-Star or any other car with CVT, struggling at the barrier. It has become such a common sight everyday that a smart employee/driver will not queue up behind a lady driving a CVT car !!! 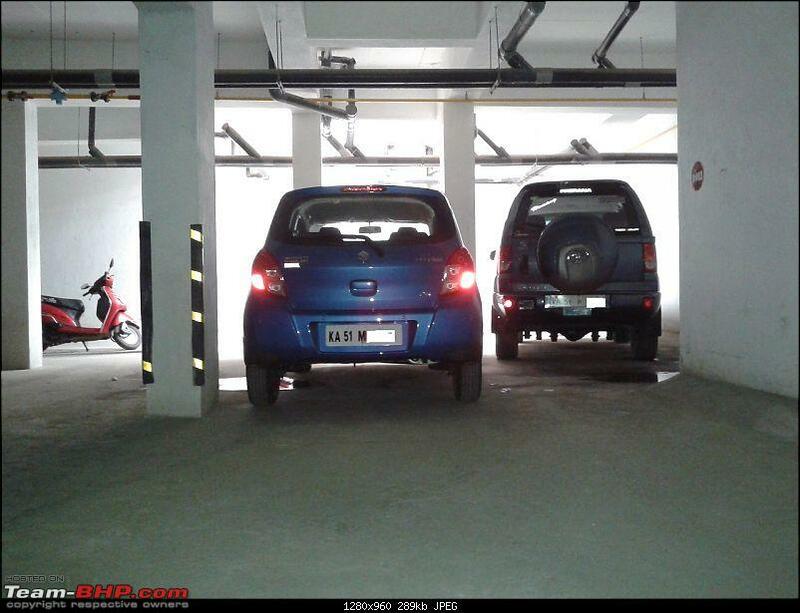 The same thing happens while reversing. At home where I park in the common area of our society, there is a raised platform and reversing the car to get on the platform is a task; you need to get a hang of it to do it quickly. There is risk of rear end crash with too much acceleration. My dad simply leaves the car on the road and asks me to park. I have one query - did you see any boot release lever? Or should one always go and insert the key to open the hatch? There is no boot release lever, use the key. Another strange thing is the cabin light that won't switch OFF until the boot lever is locked !! or maybe I did not wait long enough to see it switch OFF? Are you saying that if there is a plastic rumble near the tyre and you are in D mode the car fails to cross it?And the moment you slot it in "M" are you able to do it? Did you check with the guys if its possible to install a boot release lever? To me this is a serious omission. Everyday I see women employees in their AT i10 or A-Star or any other car with CVT, struggling at the barrier. It has become such a common sight everyday that a smart employee/driver will not queue up behind a lady driving a CVT car !!! But both the i10 AT and the A-star AT do not have CVT gear boxes. They have regular automatic gearbox with torque converter. It will roll back but very slightly. It will not crawl if the obstacle/hump is touching the tyre during pickup in D mode. With added acceleration and depending on the gradient and/or number of people in car (load) it may still struggle to cross over the hurdle. By slotting into M mode I can quickly rev up to get the required torque and continue to stay in the same (1st) gear till the road levels off. When I drive to office I have to encounter two pair of humps on an incline and are spaced out by 80 feet. Then comes the final rumbler strip near the boom barrier. In D mode the car keeps shifting from 1st >> 2nd >> 1st >> 2nd >> 1st. In M mode I can stay in 1st gear till I cross over all the hurdles. But both the i10 AT and the A-star AT do not have CVT gear boxes. 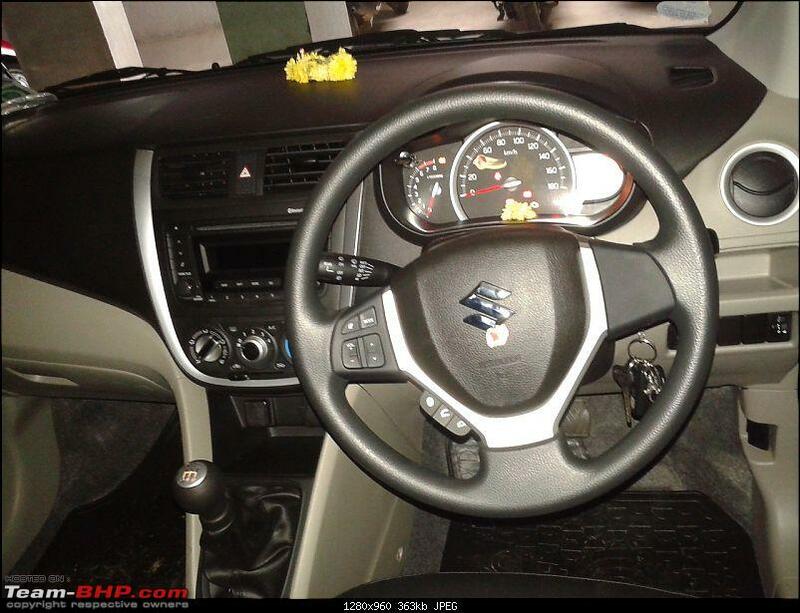 They have regular automatic gearbox with torque converter. I was under the impression that CVT equipped cars roll back the most on inclines, thanks for enlightening me. Since I see both cars roll-back up to 2 feet, I suppose the Celerio too will roll-back, for a driver with below average driving skills. 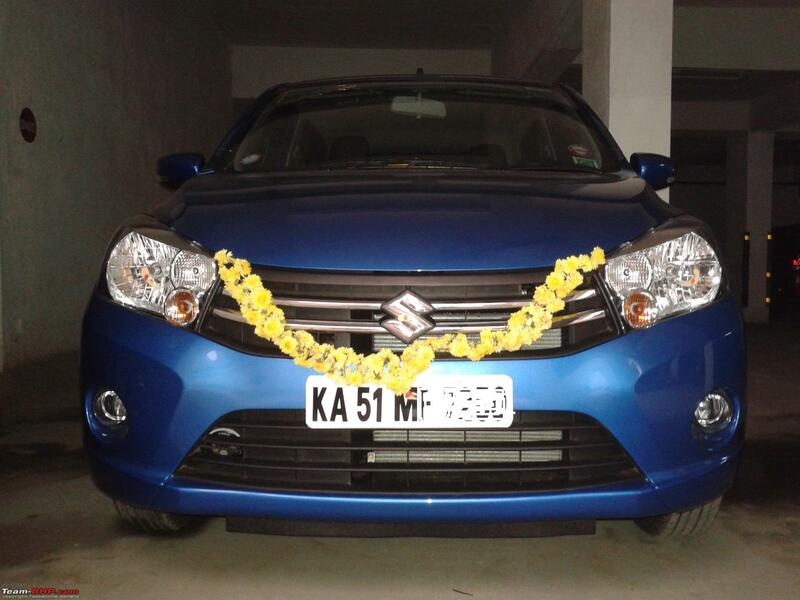 Took the delivery of AMT on 15th August and the vehicle is still at home for registration purpose. Bringing it to Cochin this weekend. 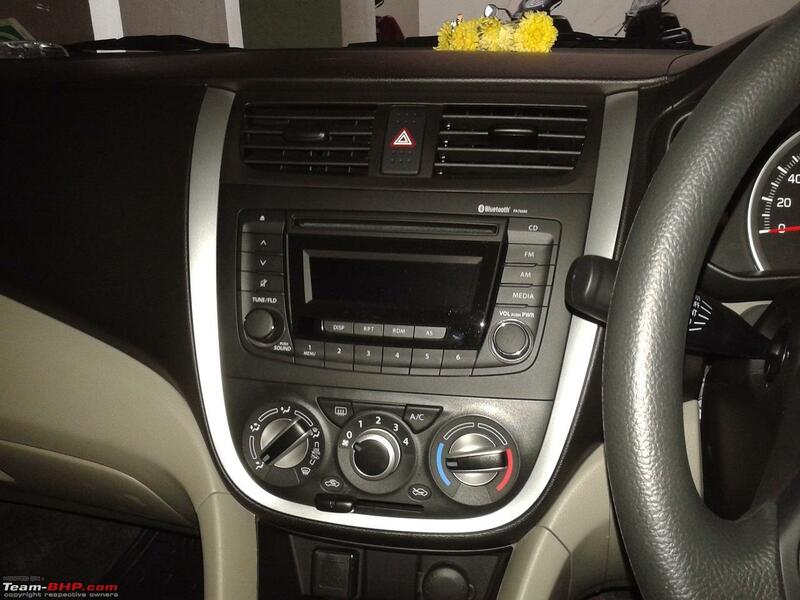 I got my hands on a pre-owned Celerio AMT last month,I guess its is one of the first pre-owned Celerio's in the market. Car had done 1700kms when i bought it and now the current odo reads 2700kms. 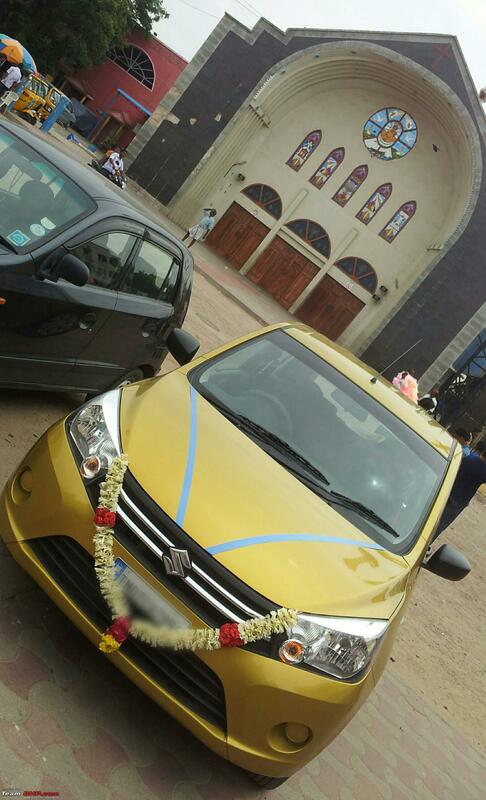 The previous owner sold this car and booked a Dzire Automatic. Car is very easy to drive in city.It gives an awesome mileage. Last full tank mileage i got was 16 within city with 90% AC.MID shows around 16.5. Most of the driving experience has already been covered in the official review. I have not faced any difficulties with the AMT gearbox.It climbs my office parking ramp in Auto mode itself.No issues with that.Overtaking within city is also fine. Even though Manual mode is fun but i am using Auto mode most of the time. This car spoils you with laziness and awesome mileage. 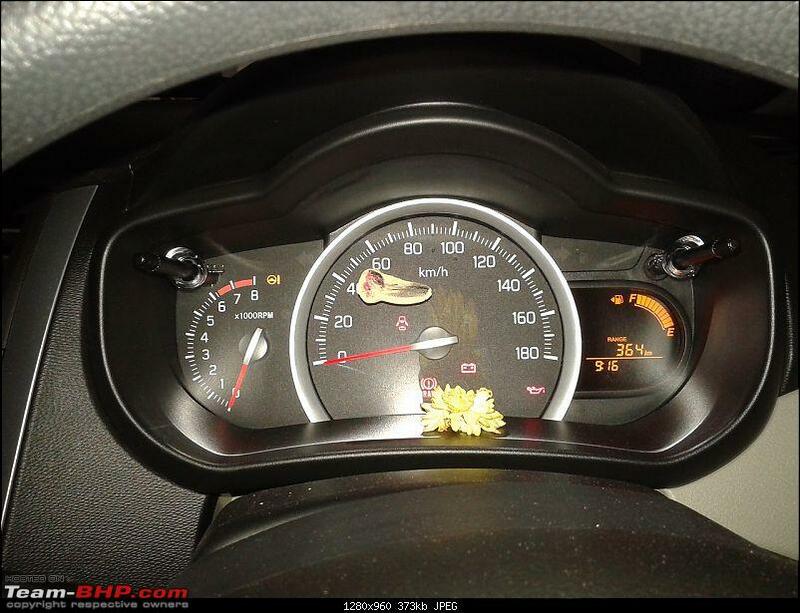 it baits you to drive slowly with the real time mileage indicator showing upto 30km/l for sedate driving. If at all you face any difficult situation,Shifting to manual mode is very easy.In any gear while driving,just a slight push to the left would make the car to go into manual mode. Down shift or upshift to you desired gear..Just like in a video game. I used to climb the small ramp to my house parking in Manual mode initially but now i am doing it in Auto mode itself. Its a just a small learning curve. After installing the ICE along with reverse camera and reverse sensor,It showed almost all the malfunction lights and refused to start. Luckily those guys had a OBD scanner,Once they cleared the codes,It started. 2nd incident happened, when my brother got too eager to check my car out.. I had the key in my hand and was talking to somebody nearby and he started pressing the brake and tried moving the gear stalk. After i turned on the ignition,I could not press the brake,It became hard. Without pressing the brake,I cannot start the car. This happened for sometime and i did not know what i did,Suddenly the brake become normal and car started. Note from Mod : Please always use a space after punctuation marks. Do see THIS THREAD before continuing. Thanks. Last edited by Rehaan : 26th August 2014 at 14:59. Reason: Please take a look at the mod note that has been added to the end of your post. Did you install speakers on all four doors? Is it component speakers or co-axial? 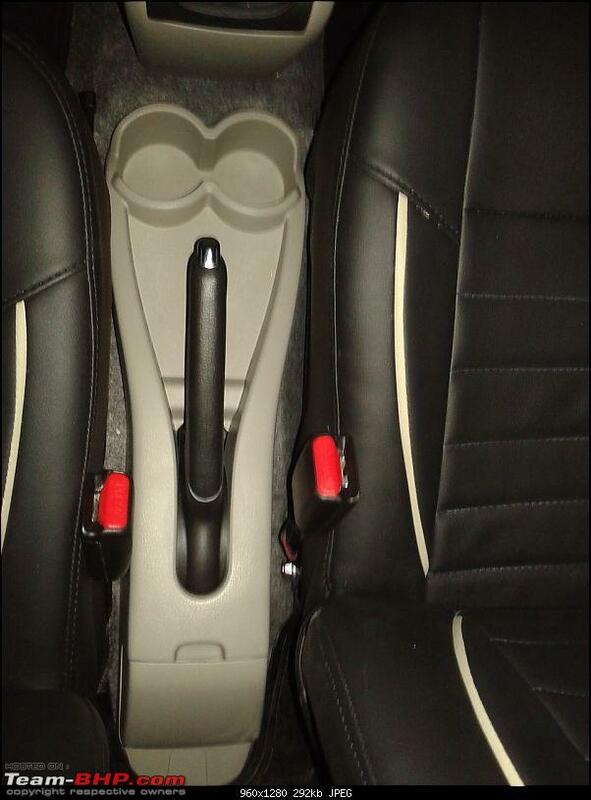 Does the front and rear door accommodate a 6" speaker? Did the speaker magnet interfere with the window glass? 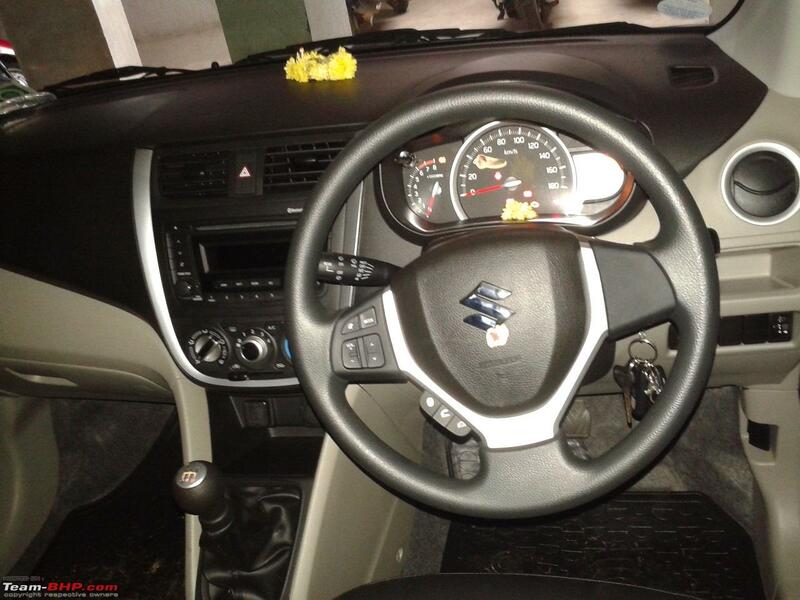 1> No provision to install an aftermarket hatch release lever. There are technical challenges in routing the release cable. 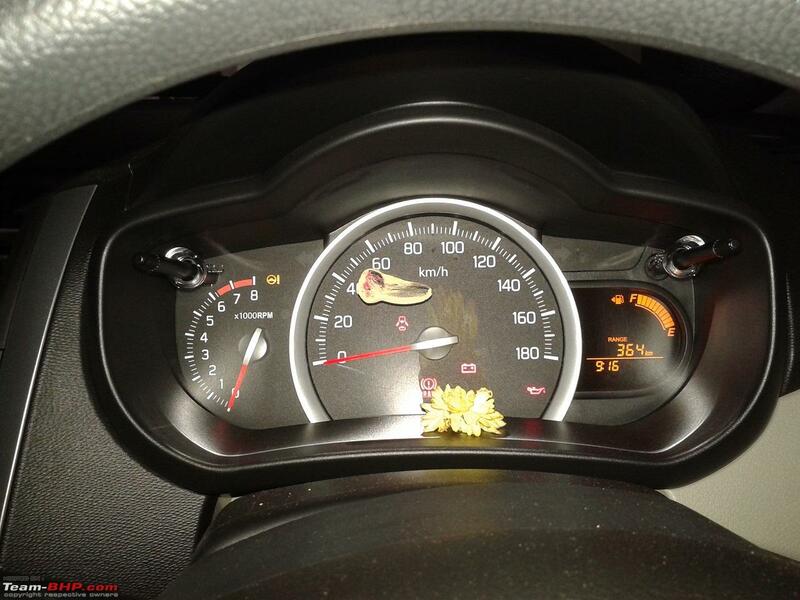 And no plans either to introduce this feature in the forthcoming models of Celerio. 2> Best workaround is to install remote central locking add-on @ Rs 5000/- and then the hatch will unlock (along with other doors) after switching OFF the engine or key removal from the ignition. 4> Going ahead, MM's electro-hydraulic AMT will be mainstream not just for Suzuki but for Tata, Mahindra and Hyundai since it is an excellent balance between efficiency and cost. 5> Reverse gear sometimes may not slot in the first attempt and only then will it start clicking. This is not a fault and happens with MT cars also. 6> Celerio's ECU has multiple sub-systems; can be independently troubleshooted and fine-tuned within minutes. Henceforth owners can opt for express service within 2 hours. The RFID sticker on the windscreen will facilitate quick check-in and check-out with minimal paperwork. 7> Aftermarket installation of gadgets needs to be done by qualified persons; Replacing incandescent small bulbs with LEDs is discouraged; it can interfere with the ECU. I asked if Celerio has CANBUS but they seemed hesitant to disclose that info. Front Door is fitted with pioneer components 61/2" and rear is fitted with oval speakers in mdf tray.we did not face any issues with Window glass. I was considering Celerio as my second car and thought the 'Cerulean Blue' was a pleasant colour in which the shape of this car looked better. 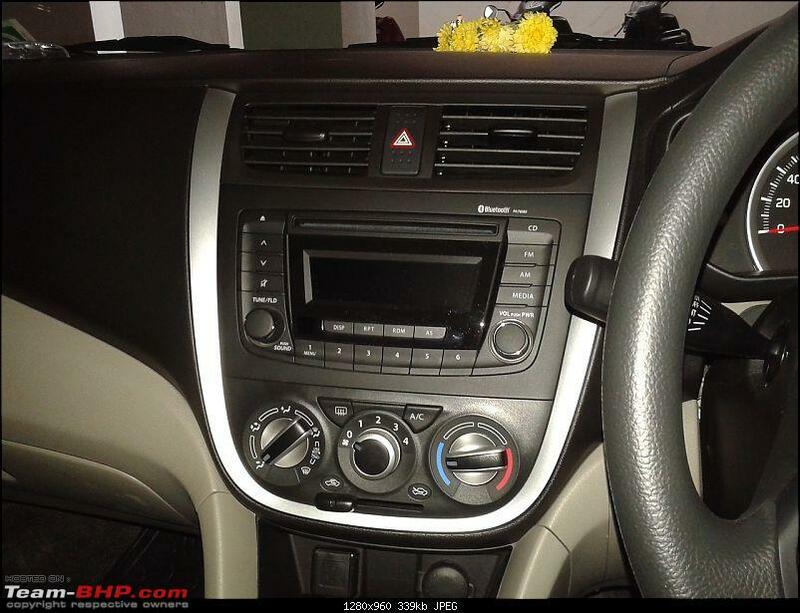 I wanted to know from existing owners, who has Celerio with this color, how easy / difficult is it to maintain this colour? This blue being a dark colour I assume it would be a bit difficult to keep the exterior clean as dust accumulation after a short drive itself could be very evident. Any inputs in this regard would be appreciated. With the limited use so far, I found that it is not so difficult to keep this colour in good shape - exteriors doesn't get dirty too quickly. Some exterior/ interior pictures (please excuse the poor quality as all pictures are taken using mobile phone camera). 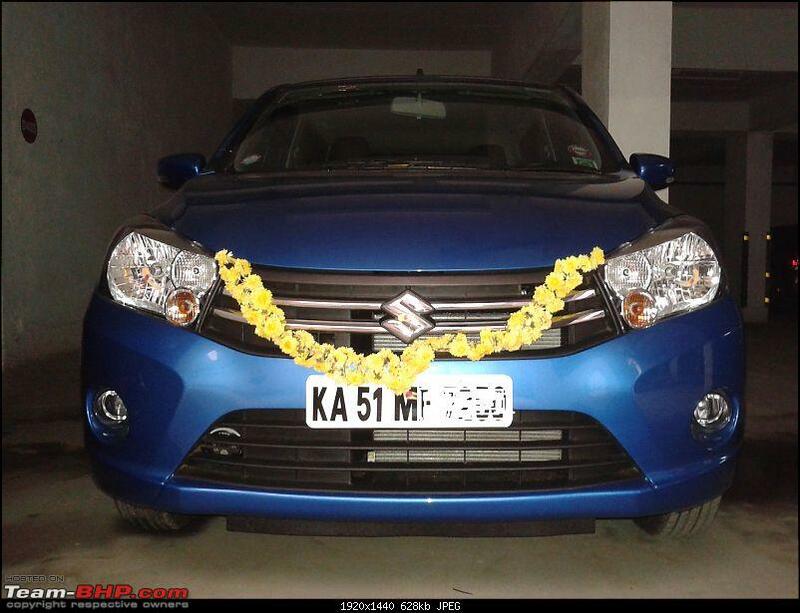 Took the delivery of Celerio Zxi Manual Transmission in 'Cerulean Blue' colour. Congratulations on the Celerio and for choosing such a classy, distinctive color. Any idea on the waiting period for AMT variants? Sales person from Bimal Motors mentioned approx 4 months waiting period for AMT variants. 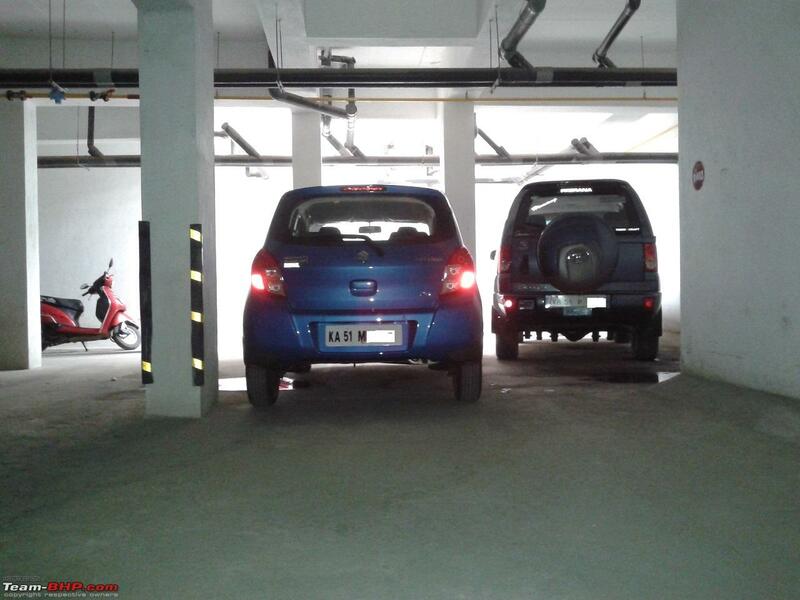 I bought a Celerio ZXi a month back. It has keyless entry but strangely there are no beeps that accompany the locking and unlocking the car.The keyless entry locks and unlocks the doors for me, but I have a tough time tracking the car in a parking lot when there is no beep when I unlock. I am sure that there is no siren as I got it checked during my first service. Can I only install a speaker so that it beeps along with the flashing of the indicator lights? Any pointers will be appreciated. b) if worrying is fine but no use then look at the fuse. c) If the fuse is fine too, please open your car's owners manual and read the past that mentions "how to activate the beep sound using the remote!" d) If none of the above, then rush to the dealer where you purchased the car and show them the issue. Accordingly rectify the same. Looks like a case of sound deactivation via the remote! All times are GMT +5.5. The time now is 01:57.